The social media reaction to Wigan Athletic’s 1-1 draw against Norwich City. Teemu Pukki’s late goal denied Wigan Athletic from recording a shock win against Norwich City at the DW Stadium. 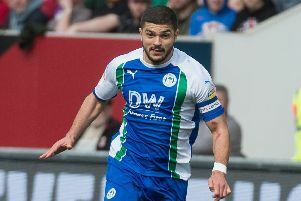 Reece James’ well-taken penalty had given Latics a deserved lead in the 44th minute but Pukki struck with nine minutes remaining to cancel out the lead. Leon Clarke thought he’d scored a last-gasp winner for Wigan, but his header was controversially ruled out for offside. Following the draw, Latics maintained their two point gap over Rotherham United entering the final four games of the season. 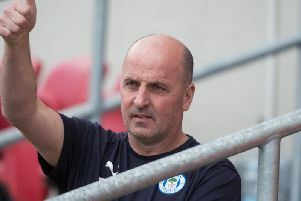 Wigan fans hailed Paul Cook’s side for their excellent performance against the league leaders on social media.